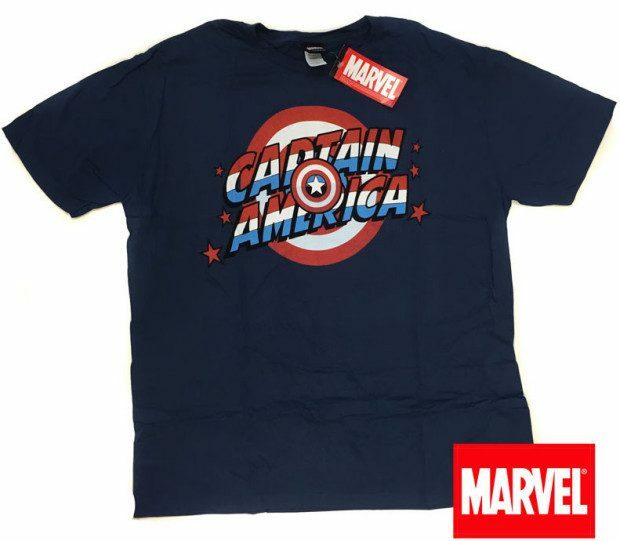 Licensed Captain American Tee Only $5.99 Plus FREE Shipping! You are here: Home / Great Deals / Licensed Captain American Tee Only $5.99 Plus FREE Shipping! Grab an officially Licensed Captain American Tee for Only $5.99 Plus FREE Shipping! Sure Iron Man is cool and rich, but Captain America is a man of the people and really good looking! And he’s named for America!